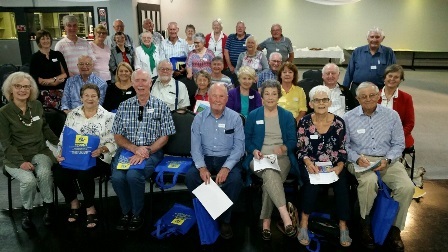 Port Stephens Probus Club celebrated the Probus year with their Annual General Meeting and Changeover Lunch. Welcome to the newly formed Probus Club of Bathurst. Welcome to the Newly formed Mt Kuring - Gai & District Probus Club. 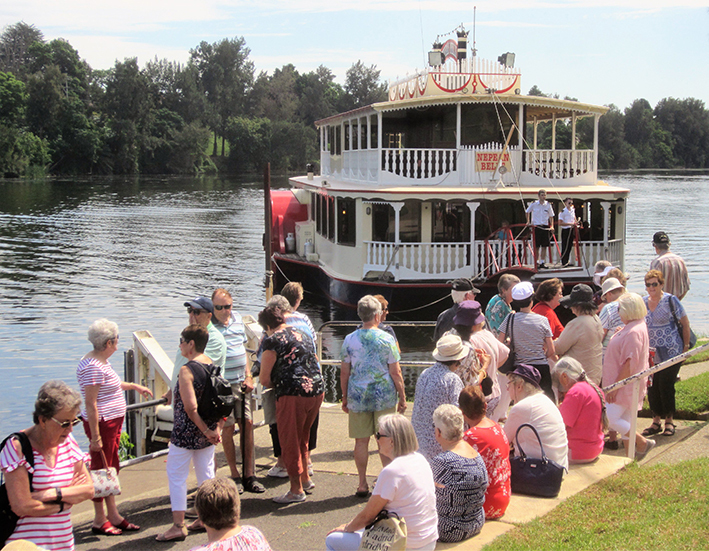 Members of the Leumeah Combined Probus Club enjoyed a relaxing river lunch cruise along the picturesque Nepean River in the foothills of the Blue Mountains National Park and the majestic Nepean Gorge on board the Majestic Nepean Belle Paddlewheeler. Welcome to the Newly formed Woollahra Probus Club. 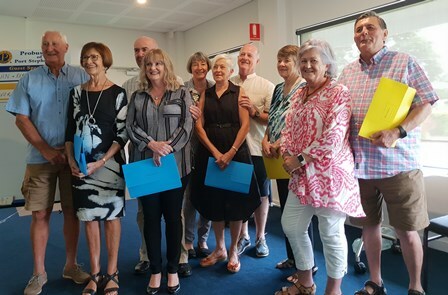 The Probus Club of Port Stephens has hit an all-time high for the district after 9 Inductees were welcomed into the Club. Congratulations to Pennant Hills Probus Club members who recently celebrated their 40th Club anniversary. 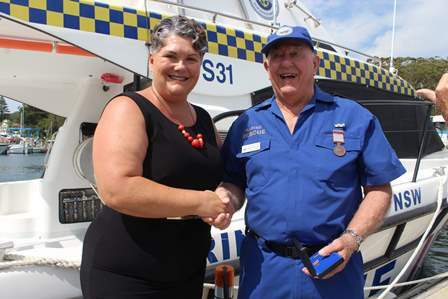 In January, MP Meryl Swanson presented Mike Pierpoint of the Probus Club of Port Stephens with a National Medal for 16 years’ dedication to Marine Rescue Port Stephens. Sixty Engadine Central Probus Club members recently enjoyed a cruise with an ABBA Tribute Group as entertainment, along with a scrumptious luncheon while cruising Sydney Harbour. Probus Club of Port Stephens Christmas celebrations.